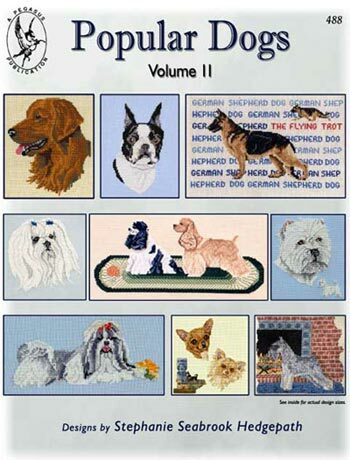 In this great collection, nine of our most popular dog designs are back in "Popular Dogs Volume 2". These designs, from previous books, have gone out of print until now! Included are the Golden Retriever, Boston Terrier, German Shepherd, Maltese, Cocker Spaniels, Westie, Shih Tzu, Chuhuahuas and Miniature Schnauzer..